Was I Ever Cis? Did I Ever Enjoy Male Privilege? [EDIT – October 1st 2015]] Disclaimer: I now disagree with almost everything I wrote in this post but I’m leaving it up because the arguments are still interesting. In this interesting article Leela Ginelle argues that trans people were never cis. Perhaps because cis identities are seen as more valid than trans ones in our ciscentric society, some cis women see fit to scrutinize and invalidate trans women’s experiences in the way they do. If a person believes I am a trans woman, it would stand to reason, they believe, as I do, that I’ve always been trans. That means I was a trans girl and grew into a trans woman. By this reasoning, being misgendered at birth—and closeted as a result of culture-wide transphobic hostility through my first 38 years as I was—would be seen as a horrible misfortune, rather than a privilege…. Falsely attributing trans women with “male privilege,” not recognizing the myriad privileges one enjoys as a cis person—privileges that often seem invisible due our culture’s ciscentric practices—works to reinforce transmisogyny and transphobia, rather than erase it. Trans women did not ask to be assigned male at birth. We were born “ourselves,” and funneled into a culture that forcibly molded us according to a ciscentric understanding of gender. This was a trauma, not a privilege, as evidenced by the 41% suicide attempt rate reported among trans adults. This is an interesting argument. If I was never cis then I was never a male then I couldn’t have enjoyed male privilege. Some feminists argue that trans women are not “really” women because they didn’t have the social experience of a woman from birth onwards. Ginelle’s response to this argument is to suggest that trans people were never cis and that they suffered a great trauma in being misgendered at birth. But this trauma of misgendering raises some interesting epistemic problems. Ok, so if misgendering at birth is this terrible tragedy it stands to reason that we should take aims to correct it. But so far as I know it is currently impossible to empirically detect whether a newborn baby is cis or trans. That is, it’s impossible to know what their gender identity is going to be in adulthood. Until we have some kind of genetic or biological marker that’s predictive of trans identities the only way to avoid the trauma of misgendering at birth is to simply avoid the practice of gendering infants altogether. But I don’t see that happening anytime soon. Furthermore, we must ask ourselves if the parents and doctors doing the misgendering are somehow morally blameworthy in their actions. Take me for instance. I was born a “normal boy” with normal male anatomy. Based on this the doctors declared me to be a boy. My parents thought I was a boy. Treated me as a boy. I was raised as a boy. I felt like a boy. I never had cross-gender identification until much later though I did strong desires for crossdressing at a young age. Did my parents make a mistake? If Ginelle is correct that I was trans all along then yes my parents were making a mistake all those years. But I was also making that mistake. I never thought of myself as trans until recently. So I was constantly misgendering myself for all those years. Was I traumatizing myself that whole time? Principle of Reflexivity: If you are trans you must be aware of yourself as trans. Those people familiar with higher-order theories of consciousness will see a similar structure. The basic idea is that you cannot be trans unless you have a concept of transness and you are aware of yourself qua trans person i.e. that you self-consciously identify as trans. If the principle of reflexivity is true this means that I was not trans until recently. 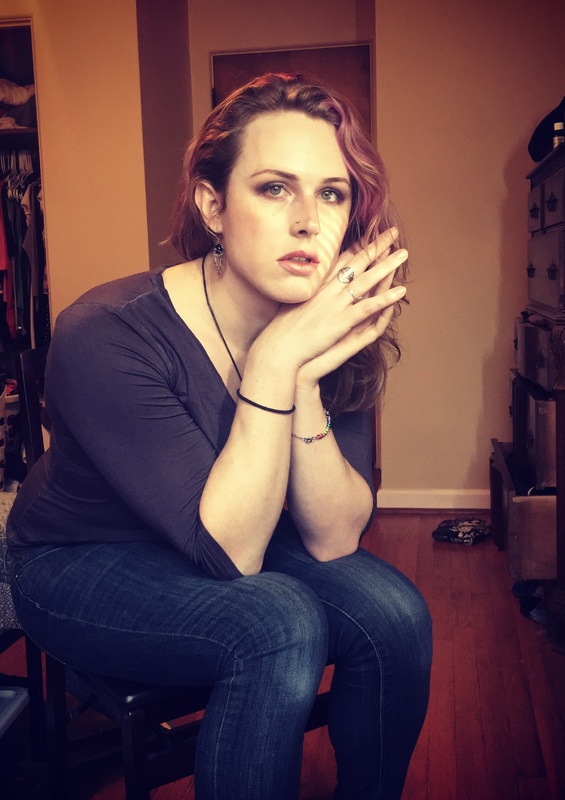 If I was not trans until recently, then was I cis the rest of my life? Or was I something else? Something not-trans yet not-cis as well? Was I simply an unactualized possibility waiting to blossom? I have no problem thinking I was cis before I realized I was trans and thus no problem thinking that I enjoyed male privilege growing up. Ginelle was concerned with the feminist argument that trans women are not real women because they enjoyed male privilege. But instead of denying that trans women enjoyed male privilege, perhaps we should deny that having male privilege makes it impossible to ever be a real woman or that it is an obstacle in the quest to transform oneself into a woman. For me the essence of being trans is the transition itself. The transition from one state of being to another state of being. The feminist argument assumes that if you start with male privilege you cannot transition into a woman. But this argument makes no sense. An acorn starts as an acorn but transform into a tree. Does the tree have “residual acorn energy” or “acorn social experience” that prevents it from transforming? The very nature of transition is to transmogrify – no amount of “male energy” can stop the transmogrification of male energy into female energy. And that transformation doesn’t happen overnight. Sure, there might be some “residual” male energy when first starting to transition. Moreover the whole idea of “male” and “female” energy as being opposites is deeply problematic and reflects binary assumptions about male and female personality. Perhaps there is more overlap in male and female energy and moreover many females have “masculine” energy and that doesn’t take away from their cis-hood so a transwoman with 80% female energy and 20% male energy shouldnt be any less of a “real” woman. Moreover even if we buy into the “social experience” hypothesis of what makes a woman (which I don’t) then suppose a trans woman transitions at 25 and lives to be 100. They will have spent 75 years of their life as a woman gaining social experience as a woman. Eventually their 25 years of male privilege will be cancelled out by their years of experience living as a woman. So even on the social experience model it’s possible for a man to transition into a woman. But we shouldn’t buy into the social experience hypothesis because if you transitioned at age 25 then you wouldn’t be a “true” woman until you are 50 years old. But according to the principle of reflexivity you are trans as soon as you start thinking of yourself as trans. So even if you have 25 years of male socialization as soon as you start identifying as trans you cease to be male and become a woman, a trans woman. The HOT model is superior because it captures the intuition that each of us is ourselves the best expert on what our own gender identity is. 1) I have experienced transness and transition much differently from your experience, and I bristle at the attempts to make generalizations based on those experiences. In particular, I reject the general applicability of having experienced male privilege, the “male to female” conception of transitioning, and the commonality of goals/experiences around passing. 2) Political! I think that this posts largely omits the notions of structuralized cissexism and transmisogyny, which are a necessary element to understanding trans experiences. Some feminists argue that trans women are not “really” women because they didn’t have the social experience of a woman from birth onwards. – These are TERFs, not feminists. We can’t cede that label to them. Ok, so if misgendering at birth is this terrible tragedy it stands to reason that we should take aims to correct it. – Much of my issue with the article in general is the absence of a notion of the power dynamics inherent in this situation. It does stand to reason that “we” should take aims to correct it. However for those of us most harmed by this process, we are never allowed into the “we” that might take this on. There are so many issues that it stands to reason ought to be addressed, but the “we” in power has at best no interest in addressing them, and more often has an actual interest in maintaining the status quo. But so far as I know it is currently impossible to empirically detect whether a newborn baby is cis or trans. That is, it’s impossible to know what their gender identity is going to be in adulthood. Until we have some kind of genetic or biological marker that’s predictive of trans identities the only way to avoid the trauma of misgendering at birth is to simply avoid the practice of gendering infants altogether. But I don’t see that happening anytime soon. – You give up too early! Much of the support for the rest of the article rests on the assumption that simply avoiding gendering children is too far-fetched to have very much of a presence in the solution to this sort of problem. Furthermore, we must ask ourselves if the parents and doctors doing the misgendering are somehow morally blameworthy in their actions. – There’s the key to the article right there! This article makes much more sense to me as a personal account and an attempt to understand a single experience, rather than an exploration of a generalizable model. I was born a “normal boy” with normal male anatomy. Based on this the doctors declared me to be a boy. My parents thought I was a boy. Treated me as a boy. I was raised as a boy. I felt like a boy. I never had cross-gender identification until much later though I did strong desires for crossdressing at a young age. I have no problem thinking I was cis before I realized I was trans and thus no problem thinking that I enjoyed male privilege growing up. – Great! I do have a problem and thus I do have a problem! Ginelle was concerned with the feminist argument that trans women are not real women because they enjoyed male privilege. – I do deny that having experienced something like male privilege should make it impossible to be a “real woman.” However, I also staunchly deny the generalizability of not having experienced some kind of male privilege. Many of us didn’t, and if you feel you did (I happen to feel that I did, for example), then that will be part of your (our) story, but so many trans women did not experience male privilege. or that it is an obstacle in the quest to transform oneself into a woman. – I never wasn’t a woman, and therefore I never needed to transform into one. The diversity of conceptions of what transition means to people is pretty staggering, and it’s tough to generalize what this process is to trans people. For me the essence of being trans is the transition itself. – I know lots of people who feel this way! I also know that if you were to ask 13 year old Jews what the essence of Judaism is, the bat mitzvah would figure much more prominently in the answer than it would if you’d asked someone older. Trans life continues long after transition. And again, this ignores the political realities of being trans; a lot of the identity or status if defined by the oppressor class in opposition to their ideal. An awful lot of cis people won’t accept the idea that we’re anything other than trans even after transition, so the identity necessarily continues in a way regardless of the way we self define. – Not for me! I just wanted to take hormones and wear dresses. No transmogrification necessary! Sure, there might be some “residual” male energy when first starting to transition. – Again, this assumes that trans women have “male energy” to begin with, and furthermore assumes that transition is somehow about the from: ___ -> to: ___ model. The HOT model is superior because it captures the intuition that each of us is ourselves the best expert on what our own gender identity is. – No model should be thought to be be superior if it purports to generalize on how we trans people experience gender. If it works for you, then it’s the superior model for you! My model works for me, and so on. That said, Lani and I agree that you’re a superior HOT model.